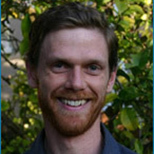 Ryan Gerlach was previously involved with stakeholder engagement at Future 500, a global nonprofit specializing in building bridges between parties at odds – often corporations and NGOs, the political right and left, and others – to advance systemic solutions to urgent sustainability challenges. He wrote “How some climate “wins” can lead to other uphill battles in the clean energy fight” for Ensia while at Future 500. He is now a sales analyst for Borrego Solar Systems, Inc.